The History of Solar Energy #Infographic ~ Visualistan '+g+"
The sun offers an amazing source of power, putting out 3.8 x 1026 watts. At its upper atmosphere, the Earth takes in about 174 petawatts of solar radiation, reflecting about 30% back out into space. Humans have been trying to harness this energy into a usable source of power since ancient times. 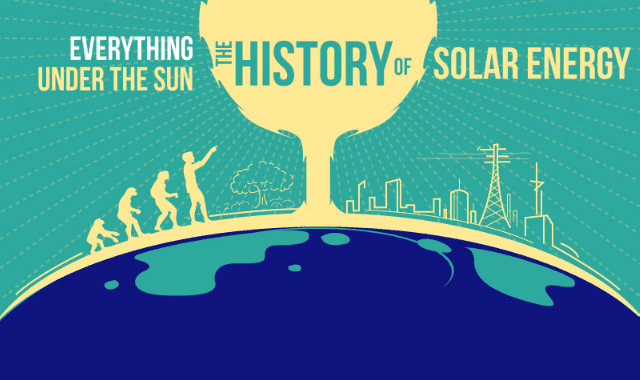 Check out the interesting history of solar energy below in this infographic.